BillNat Corporation (“BillNat” or the “Company”), a wholly-owned subsidiary of Frank W. Kerr Company (“Kerr”), is a leading retail pharmacy chain in Southeastern Michigan that operates 21 locations under the name “Sav-On Drugs.” BillNat and its local community-oriented pharmacists provide customers with quality products and services in a one-stop layout at economical prices, including prescription drugs, over-the-counter medication, health and beauty products, and general merchandise. In early 2016, Kerr experienced financial difficulties that resulted in its filing for bankruptcy protection. In order to maximize recovery for Kerr stakeholders, SSG was retained in June 2016 to explore strategic alternatives for BillNat. SSG conducted a comprehensive marketing process, which resulted in a wide range of interest from potential strategic parties to achieve an optimal outcome for the Company and its stakeholders. The process resulted in ten offers for the assets in whole or in parts. BillNat ultimately reached an agreement with CVS Health Corporation (“CVS”) for substantially all of the Company’s assets. In October 2017, BillNat filed for Chapter 11 protection. 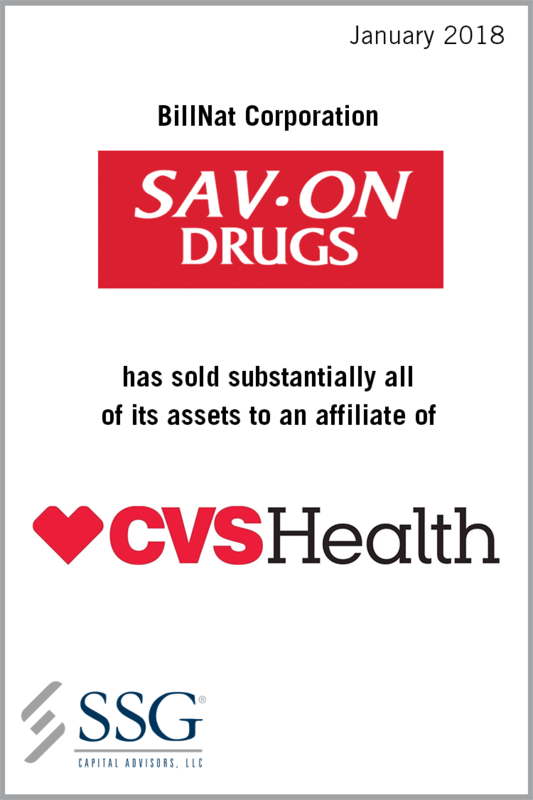 While significant post-petition interest was expressed, CVS’s stalking horse bid was ultimately deemed to be the highest and best offer. SSG’s experience in identifying buyers, and running complex, special situation sale processes enabled the Company’s stakeholders to maximize value while preserving a significant number of jobs.